Singapore: Serena Williams will face a difficult path ahead if she attempts to return to tennis after having a baby, Kim Clijsters has warned. Clijsters completed the ‘Mother of all Comebacks’ when she won the US Open in 2009, just 18 months after giving birth to her first child. The Belgian enjoyed her best days in tennis after becoming a mother, as she won three of her four Grand Slam titles before retiring at 29. But Serena’s situation is unique, and the 23-time Grand Slam winner will have to pick her way through some tough challenges if she comes back to the tour, Clijsters told AFP. “Every player is different, every pregnancy is different, every delivery is different so it’s really hard to comment on how quickly she’ll be able to bounce back,” she said in a phone interview in her role as ambassador for the WTA Finals, which take place in Singapore in October. “Tennis-wise, she won 23 Grand Slams before she went to have her baby. I [had] won one, so I think she has that part completely covered, no problem with the Grand Slams. “But you have to find your way, especially as a first-time mother. I had a little bit of help too, my husband was able to travel with me. I wouldn’t be able to do it if my family wasn’t there. 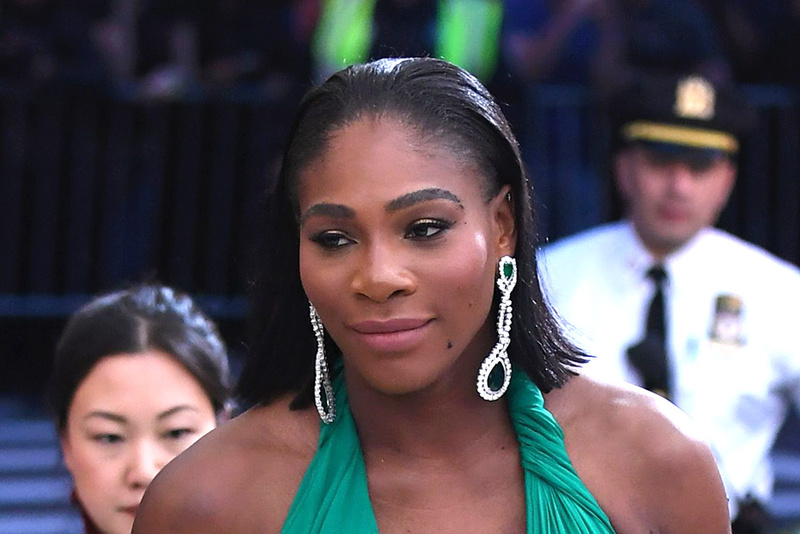 Serena, who was pregnant when she won the Australian Open in January — without dropping a set — has strongly hinted that she intends to return to tennis next year. She could give birth during the US Open, which starts on August 28, after revealing her pregnancy in April when she accidentally posted a picture captioned “20 weeks” on Snapchat. Victoria Azarenka, the two-time Australian Open champion and former world No. 1, returned in June after having a baby late last year, and reached the last 16 at Wimbledon in July. While Azarenka is 28, and Clijsters was just 26 when she ended her two-year career break, Serena will turn 36 next month. But the American has made a habit of pushing the sport’s boundaries and she is likely to be motivated by the goal of surpassing Margaret Court’s all-time record of 24 major victories. Clijsters said Maria Sharapova, the five-time Grand Slam winner, also faced a difficult comeback — but for very different reasons. Sharapova, 30, has suffered injuries since returning from a 15-month doping ban in April, and Clijsters said mental pressures were likely to be weighing heavily on the Russian. “No matter how hard you train, when you come into a match, the level of intensity, the focus, the added pressure that’s put on it, has an effect on your body as well,” she said. “It’s normal. I’ve been in this situation too where I feel like I’ve trained very, very hard and practised a lot harder than any situation you would get to in a match, but then when you add the mental side of it all, then it becomes hard,” added Clijsters.